For the last four to five years, a little black basketweave notebook has been my constant pocket companion. In it, I jot down notes from meetings, things I need to write in order to remember. Although I’m a veteran user of tools like Evernote, Google Keep, and OneNote, my desk at home is still covered with notebooks. No matter your everyday carry, finding the right notepad can simplify your life. The practice of taking notes in fourth grade in a black-and-white composition notebook has stayed with me. In fact, it’s one of the most valuable skills I learned in elementary school. 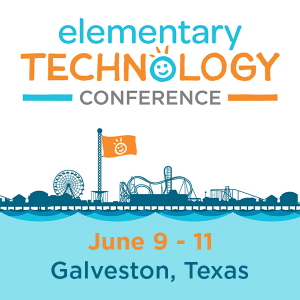 Let’s explore a few less expensive alternatives schools may want to consider for staff and/or students. Source: Pam Mueller on The Pen is Mightier Than the Keyboard as cited in NPR’s Attention Students – Put Your Laptops Away. The short version? Old-fashioned, handwritten notes make our brains work harder and smarter. Set aside the digital for later. In addition to the benefits of handwritten notes, many are choosing to impose organization on their notebooks. Here are a few note-taking approaches that you may be aware of. While it’s beyond the scope of this particular blog entry to explore each one in detail, you may want to explore further on your own. Autofocus: A simple approach to note-taking that makes everything into lists, where you deal with one page at a time. Bullet journal: A flexible approach that has you creating index pages, future logs, monthly logs, and more. Watch the video. Cornell Note-taking: Take quick notes about a book, lecture, meeting. Then write questions about your notes. Write a brief summary at the bottom of the each page of notes. This involves dividing the page into three components. Find out more online. SketchNoting: Draw pictures of concepts and ideas. Watch video (or combine Cornell with SketchNoting). Strikethru: This approach involves creating a notebook with several sections, including live list, the dump, and the vault. Watch the video. You can use any one of these approaches. You can also combine them or develop your own approach. Let’s take a look at some digital notebook options. While there are a variety of devices you can purchase that enable you to take notes, they can be quite expensive (e.g. $799 for the Microsoft Surface Pro tablet with digital ink capability or the $249-$350 Samsung tablet with S pen). To be honest, it’s a pain carrying around a digital tablet in addition to my smartphone. I prefer to travel lighter. What’s more, when you forget your satchel in the restroom, you don’t have to worry about losing an expensive tablet or laptop with access to critical confidential information (see encryption suggestions). Different solutions help you combine a paper notebook and the benefits of handwritten notes with digital search capabilities. You may not need a tablet if you already have a smartphone and a laptop/desktop computer. 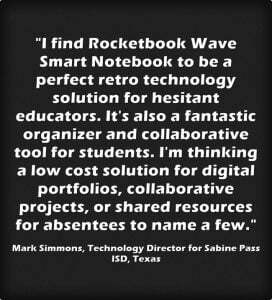 Rocketbook Wave Smart Notebook ($27): This option provides for easy note taking with integration into digital cloud storage sites. What makes this paper notebook unique is that, because you use special ink, the pages turn blank in a microwave. This occurs when the Pilot Frixion ink (you can buy it at most retail stores) you use is exposed to heat. The pages, once cleared, can be re-used. 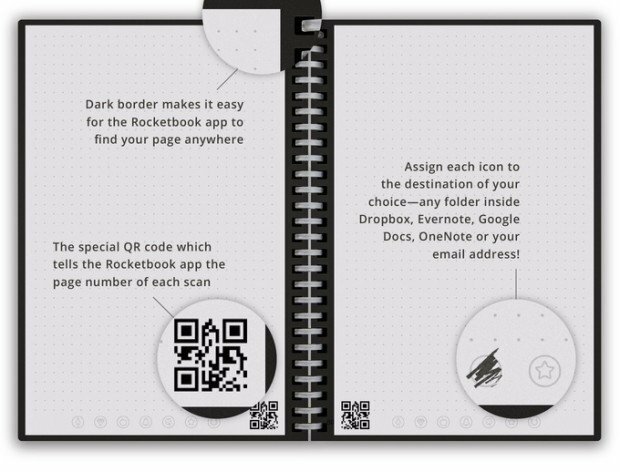 The Rocketbook Wave app can be used to scan to PDF or to an image (PNG format). Watch the video. Evernote Smart Notebook ($20.97 plus $69.99 recurring annual cost for EverNote Premium): Although a bit expensive given that Evernote Premium costs a bit more, please be aware that each notebook purchase comes with three months of EverNote Premium, making it a good value to get started. Evernote is a well-known tool that tries to make the note-taking process easy (source). Moleskin Smart Writing Set ($199): This appears to be an incredible solution. 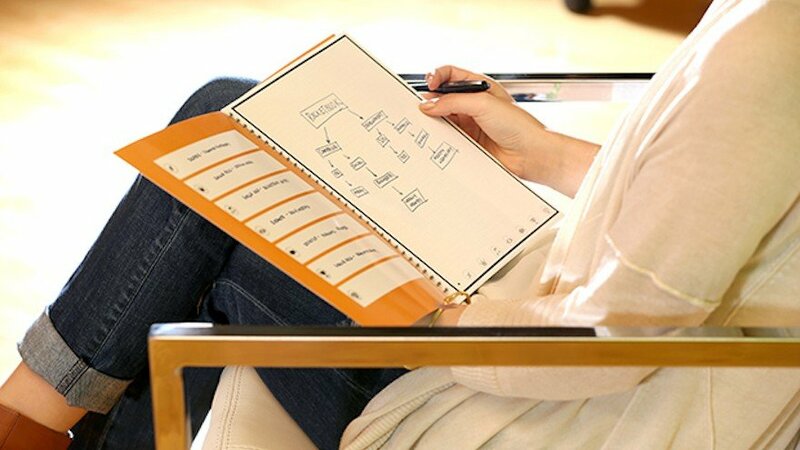 You write/draw/sketch on special paper with a digital pen that sends your design/notes to the companion app. Watch this short video overview. Bamboo Spark ($99.95): This solution from Wacom will “capture handwritten notes on any paper and with a push of a button your handwritten content is saved in the Wacom Inkspace app for light editing and sharing.” The Wacom app Inkspace works with Evernote and Dropbox. Watch video. The main benefit of having paper backup to digital is that I can have a backup of my paper notes. Since I often use a variety of notebooks, being able to have a notebook at work and another at home, is great. Digitizing my notes and sketches allows me to easily access content across devices, enabling me to improve on my work. If you are considering sticking with handwritten notes, do take advantage of a less expensive paper+digital solution.